Nitol has announced the production of the first large-scale batch of polysilicon from the company’s Irkutsk plant, a year after the first experimental batch for export. 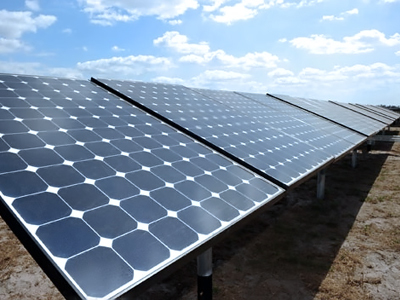 Polycrystalline silicon, also called polysilicon, is a material consisting of small silicon crystals used for electronics and solar cells as well as other microelectronic goods. Nitol polycrystalline production based on chemical production is backed by Rusnano with strategic foreign investors including Eurasian Development Bank and China Solar Energy components industry leader STP. Rusnano guaranteed a Sberbank loan for 9 billion roubles. Nitol Board Chairman, Dmitry Kotenko says planned production will be achieved in stages, with support from State finance and innovation companies. Alexander Korchevskiy, Senior Analyst I2BF Capital Advisors believes the project has great potential. World demand for Polysilicon for solar cell production has been growing by 25-30% over the last decade according to the European Photovoltaic Industry Association. Gennady Zhuzhlev, Deputy Board Chairman of the Eurasian Bank of Development expects even higher demand in the next five to seven years. In addition to strong demand on the global market Russian polysilicon production has the economic advantage of low-cost manufacturing, low cost energy and raw materials. Alexander Korchevskiy, Senior Analyst I2BF Capital Advisors says that the location in the Irkutsk region also has advantages. Nitol says the new production facility will support further development of Russian Microelectronics, as well as makes a substantial contribution to the creation of the nascent Russian solar energy industry.